Dhaka, Dec 14 (Just News): Some 114 renowned global organisations and 32 individualson Thursdayunderscored the need for prioritising protection of the civilians in Rakhine and moving towards a collective and decisive approach to regional conflict prevention, in line with its priority theme on "peace and stability." In a joint statement, they also called upon the Myanmar authorities to address the roots of the conflict. "We, the undersigned civil society organisations, people's organisations and individuals, affirm our belief in peoples' right to self-identification, and the primacy of dialogue and a politically-negotiated settlement in transforming conflicts," the statement reads. They expressed deep anguish and concern with the latest escalation of violence in Rakhine State, Myanmar, and the attacks against unarmed civilians. "We condemn the targeting of civilians of any ethnicity and religion, by any armed group, for any reason." They said impunity for abuses against civilians during decades of conflict with ethnic armed organisations has encouraged the Myanmar military to apply the same tactics in Rakhine State. "There will be no end to the cycles of conflict and displacement in Rakhine State without addressing the main drivers and the roots of this conflict," the statement reads. The signatories called on theMyanmar military to cease violence against and abuses of unarmed civilians in Rakhine State and the other conflict areas such as northern Shan and Kachin States. They urged the Myanmar government to comply with relevant international human rights and humanitarian law standards and norms, particularly with regards to the protection of civilians in conflict, and protection of children, women and minorities. They suggested holding accountable those who have committed crimes against civilians. They sought initiative to review and amend the 1982 Citizenship Law to be in line with international norms; end restrictions to citizenship and freedom of movement of the Rohingya people. They urged the Civil Society in Myanmar to cease circulation of unverified, inflammatory materials on social media and condemn hate speech towards the Rohingya and other minorities. The signatories suggested imposing a global arms embargo and advocate to relevant governments to cease military-to-military engagement and impose targeted sanctions against the Burma/Myanmar Army until it ends attacks against civilians. They laid emphasis on prioritising immediate dialogue between Myanmar and other Asean members on the Rohingya issue with the aim to seek a sustainable solution to the conflict and address the continuous human rights violations against the Rohingyas and other minorities in Myanmar. They recommend sending an Asean peace and humanitarian mission to provide humanitarian relief to displaced persons in Rakhine State and in Bangladesh. 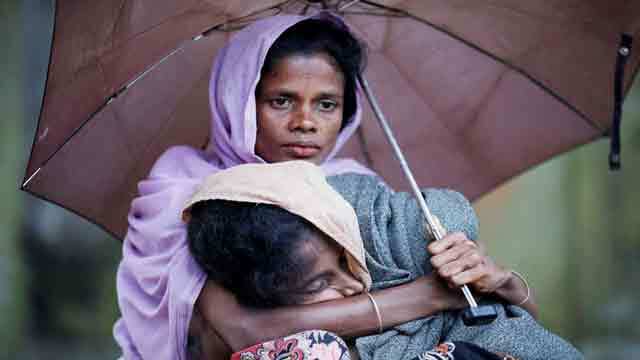 They urged the Myanmar government to conduct a comprehensive review of its 1982 Citizenship and other discriminatory laws in order to ensure that all persons should have rights and equal access to citizenship and are not treated unfairly on grounds of ethnicity, political and religious beliefs.